How to change user account picture on Windows 10? 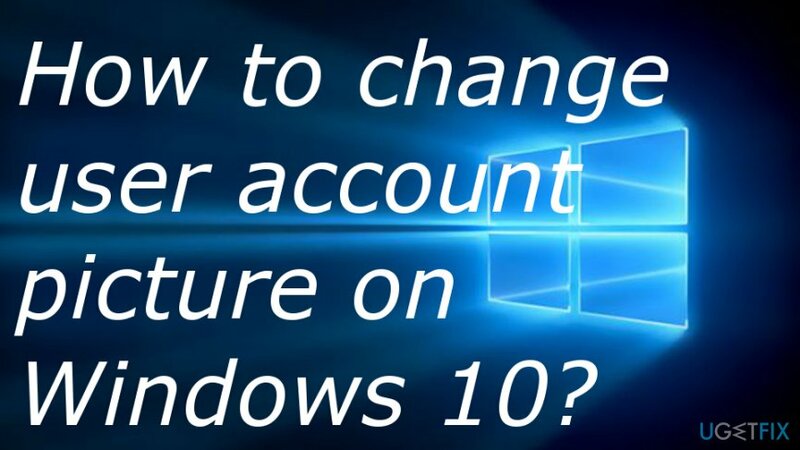 Home »	Fix » How to change user account picture on Windows 10? Issue: How to change user account picture on Windows 10? Hi. Please tell me how to change the user account picture on Windows 10? Can’t figure it out. 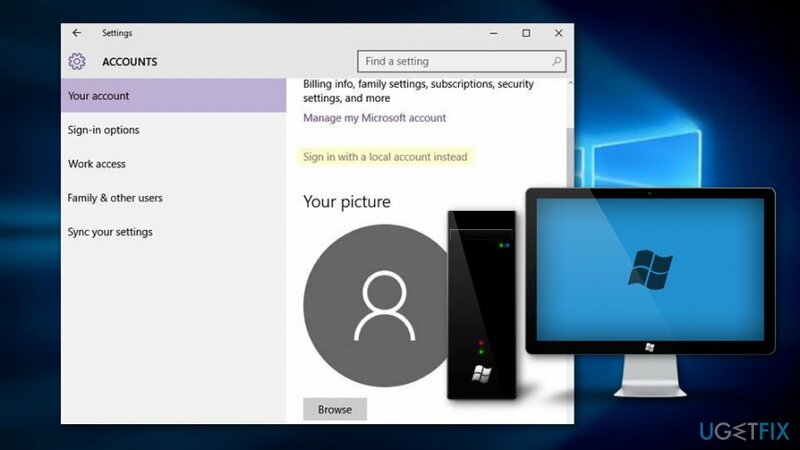 The picture which is seen while signing in to PCs and at the top of the Start menu is directly related to Windows user account. Usually, it is referred to as User Account Picture. While a part of Windows 10 users is not concerned about this picture at all, the others opt for setting a picture that would be familiar or reflect their personality. Once the picture is set as Windows user account, it is synced by default to all PCs, devices, and Microsoft services signed in by the same Microsoft account. Therefore, the user, his colleagues, family members, and other people can see when the PC or another device is signed in by you. The earlier Windows OS versions, including XP, Vista, 7, 8, and 8.1, used to assign a default account picture automatically, Windows 10 sets a generic icon. Luckily, Windows allows changing User Account Picture with a photo stored on the device, editing it, taking the new one using a webcam, or even set a video clip. Unfortunately, but not all people know how to do that, so we’ll provide a short guide explaining how to change User Account Picture on Windows 10. The default user account picture is stored in the hidden folder %ProgramData%\\Microsoft\\User Account Pictures. The picture that you are currently using as your Windows account picture can be found in C:\\Users\\Public\\Public Account Pictures\\S-1-5-21……. (GUID for the user account). The picture that you were using earlier is located in %AppData%\\Microsoft\\Windows\\AccountPictures. Click Win key and click on your user account picture or your user account name. Scroll down to find your current user account picture. The placeholder should be labeled as Your Picture. At the bottom of the page, you should see Create your picture and two choices, i.e. either to take a new picture using the camera or to browse for a picture on your device. If you have decided to use a picture that is already on file, select Browse for one and navigate to the folder where the preferred picture is stored. Click on the picture that you want to choose and then select Choose Picture. If you opt for taking a new picture using the camera, then select the Camera instead of Browse for one option. This option will activate your front-facing camera, so strike a pose and click Take Picture button. The picture can be resized by dragging its corners, so make it as you prefer. Once done, click a checkmark above the photo and close the Settings Window. ^ What is Windows?. Digital unite. Digital skills. ^ Margaret Rouse. Microsoft. Search Windows server. Tech target. ^ Windows 10. Computer hope. Free computer help since 1998. Kaip pakeisti Windows 10 vartotojo paskyros paveikslėlį?